At age 54, Christopher J. Zane is a thirty-eight year veteran of the retail bicycle industry. His story includes getting a state tax ID number at age 12, buying his first bike shop at age 16, and building Zane’s Cycles into largest bicycle shop in Connecticut by the age of 30. Today, Zane’s Cycles is one of the largest retail bicycle stores in the nation. 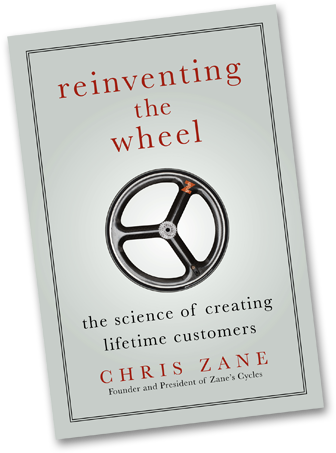 Zane’s unique approach to marketing includes strategies such as continual learning, the lifetime value of a customer, guerrilla marketing, bootstrapping, community relations, cost-controlled customer service, and image branding. He has positioned himself at the forefront of the industry by continuously setting standards in customer loyalty and creative marketing. 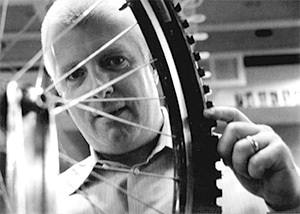 Since 1985, Zane has been accumulating awards and accolades such as the BBB Award of Recognition for Customer Service/Outstanding Business Practices; one of “the 30 most influential people in the bicycle industry”; North America’s Best Bicycle Retailer, North American Bicyclist Magazine; Mass Mutual Blue Chip Enterprise Initiative Award; 2006 Customer First Award, Fast Company Magazine and the 2006 Connecticut “Retailer of the Year.” Zane’s Cycles currently holds the status of Trek Bicycle Co.’s largest dealer worldwide. Most recently, Chris was inducted into the Junior Achievement Business Leader Hall of Fame, named the 2008 Customer Champion, 1to1 magazine, and the 2009 CT Climate Change Leadership Award. Zane’s cutting-edge marketing techniques have been used as case studies in more than a dozen college textbooks worldwide and has been the subject of several articles in publications such as The Harvard Business Review, Inc. magazine, the Associated Press, Fortune magazine, The New York Times and The Wall Street Journal, as well as being profiled in Alpha Dogs, a HarperCollins bestseller by Donna Fenn. Zane has served as Quinnipiac University’s Entrepreneur in Residence and he is frequently featured on WCBS’s, “The Wall Street Journal’s Small Business Report” with Joe Connolly. A sought-after speaker, Zane has presented to individual companies and at numerous conferences: Yale University’s Business and Economic Forum; Quis 9 International Marketing Symposium; The Conference Board; Inc’s Annual Growing the Company Conference; Inc’s Annual CEO Symposium; WCBS Newsradio 88 Business Breakfast Forum, and ASU’s Compete Through Services Symposium, where he was the highest rated speaker. He is currently a board member of several organizations, including The Sachem Bank (IO) and ASU’s The Center for Services Leadership.